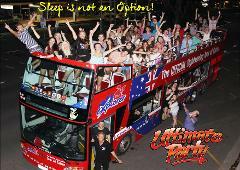 Party on Cairns only Double Decker Party Bus Saturday Nights are more of a clubby tour with more locals! 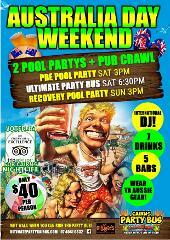 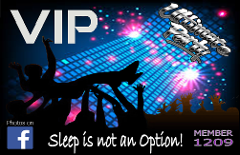 5 Free drinks, Free Gourmet Pizza at 1st venue & VIP prices all night Free Entry & $1000's worth of prizes Lots more extras too! 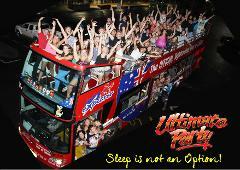 Party on Cairns only Double Decker Party Bus Wed Night is more of a Pubby Tour with Travellers! 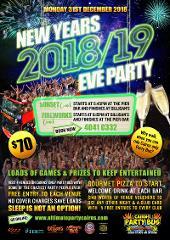 5 Free drinks, Free Gourmet Pizza at 1st venue & VIP prices all night Free Entry & $1000's worth of prizes Lots more extras too!